Currently, Ohio is home to over 286,000 AAPI residents (73% increase from 2000), and with over 50,195 AAPIs living in Franklin County. 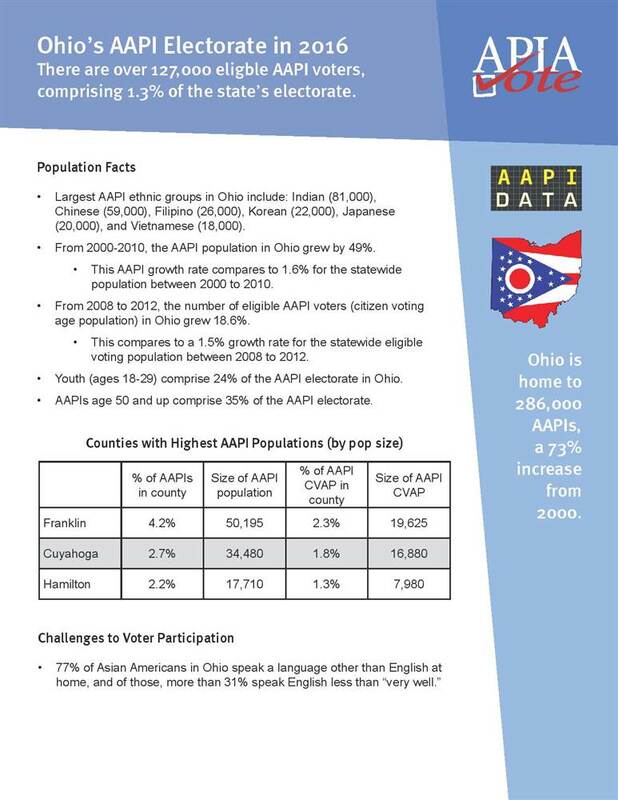 The largest AAPI ethnic groups in Ohio include: Indian (81,000), Chinese (59,000), Filipino (26,000), Korean (22,000), Japanese (20,000), and Vietnamese (18,000). Ohio is also home to a significant AAPI refugee populations including Laotian, Cambodian, Burmese, and Bhutanese-Nepali ethnic groups.